This weekend my dad was visiting us in Montreal. We decided to head up to Puces Pop which is this really cool independent art and craft fair. People were selling everything from ceramics to t-shirts to jewelry to baked goods. It was awesome. This week I wanted to share some of the cool things I saw so get ready for my Puces Pop round up. Today it's all about Cara Carmina. 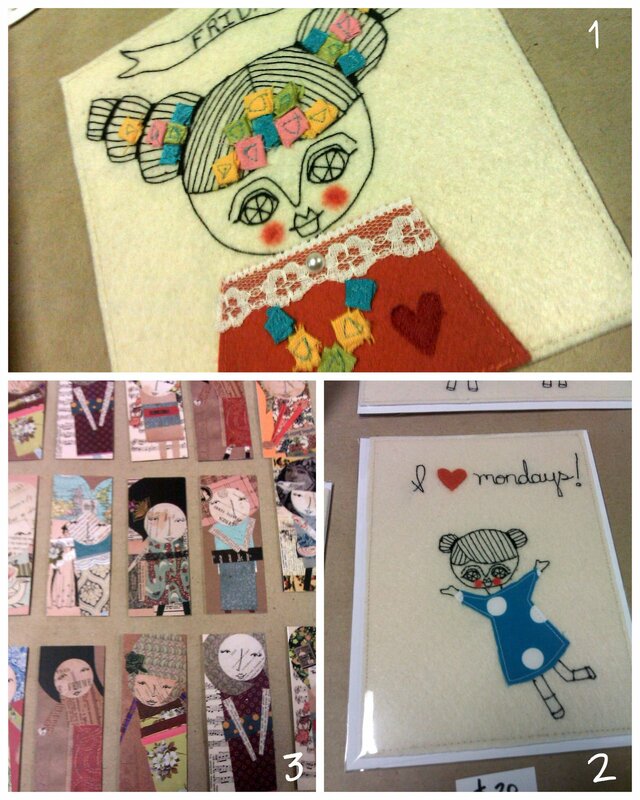 She makes these amazing stitched greeting cards and lovely collaged paper dolls. She also has some really cool custom fabric dolls that you can see here. And she is just plain nice. Montreal Foodie - A sometimes vegan, lover of all things cute and sweet.